I am finally the proud owner of some red mittens. This is good news. 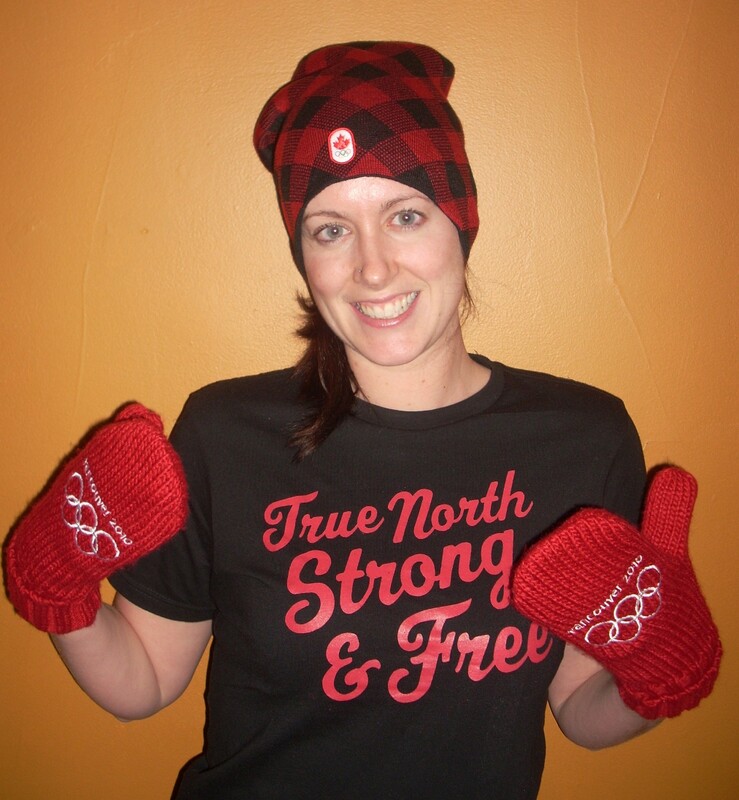 The one Olympic-related souvenir I wanted to own and proudly wear was a pair of those damn mittens. I stalked The Bay in the days before Christmas, hoping I would time my visits with a surprise delivery of the big nationwide seller. It never happened. Once, missing a shipment by seconds, I spotted distraught people near tears, bickering with staff over the unfairness of mass mitten purchasers hawking the items on EBay. What a gong show. Out of my entire extended family, only my grandma was able to find the mittens. It pays to be retired with time during the day to stake out department stores. Unfortunately, she assumed that my mom would have equally good luck and got the entire rest of the family mittens. Needless to say, when finding out that my little family was indeed left mitten-less this Christmas, my Grandma promptly slept with someone at The Bay and was paid in mittens. I am kidding. She bought them. 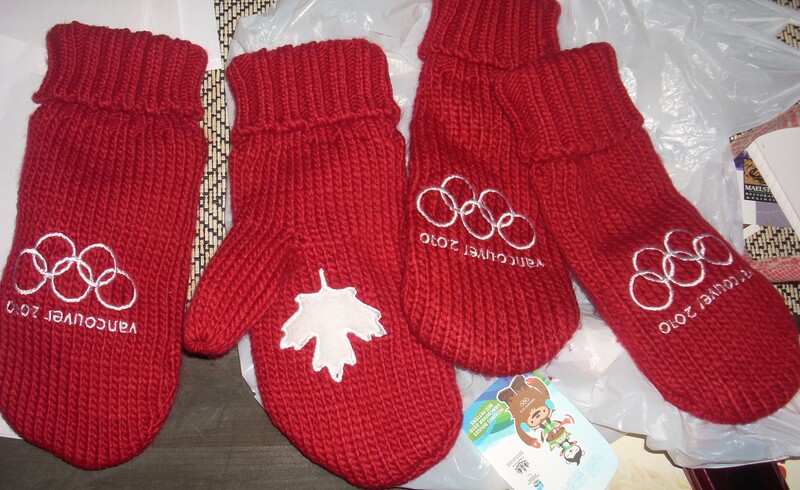 So here are my 2010 Olympic mittens. 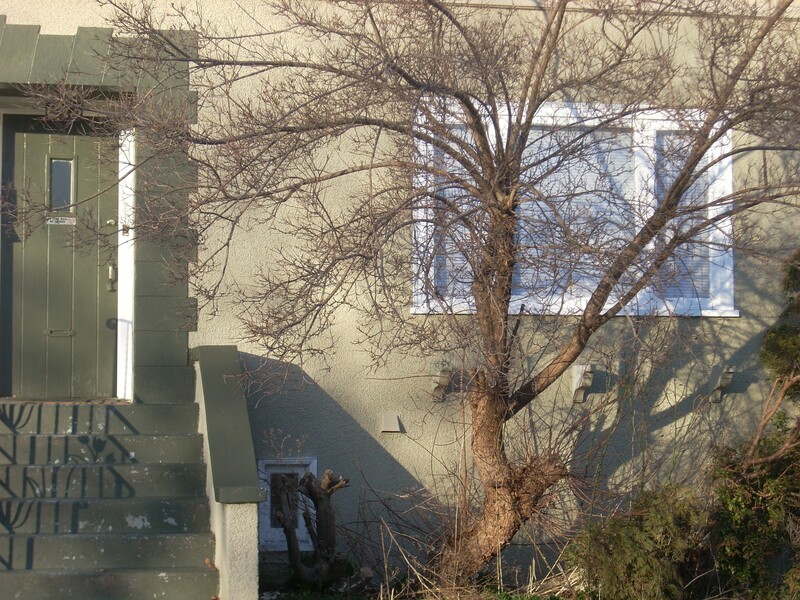 One week before Christmas my boyfriend and I graduated from a Kitsilano basement suite – fully equipped with the odd mouse, giant spider and evil mold monster – to the main floor of a duplex type set-up. We packed, cleaned, moved, unpacked and cleaned again during the hellish last-minute shopping days before the world’s most ridiculously gluttonous day of the year and the week between Boxing Day and New Years. Our excitement over setting up our new abode was quashed from day one. Scenario: We get the keys and go take a peek, fully intending to shriek and dance around in the empty space. 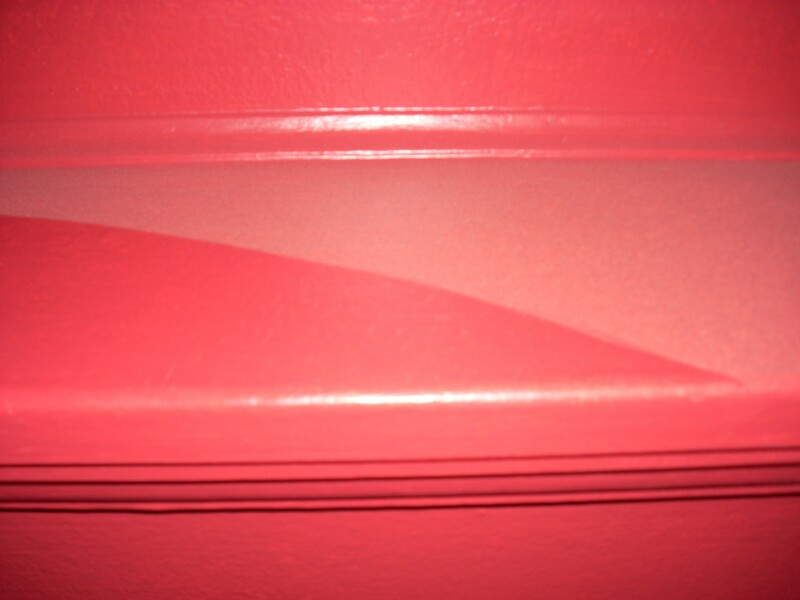 We are met with bits of plaster covering the carpet in the entranceway caused by what appears to be a steady leak from the attic suite, dust so thick you can draw 2-colour designs on the walls and blinds that appear to have been used as a dustpan. Fresh paint splatters mark the kitchen sink and newish stovetop. The fridge sounds like a rocket blasting off and the ball of dust and hair swept out from under the stove resembles a decent-sized cat. We fake smile at each other. Several hours are spent readying the place for the arrival of our stuff. Thanks of course, to that person you can count on to assist in any emergency situation with a big smile – MOM. I, of course, groan, whine and curse the entire time we are cleaning. We move in, celebrate Christmas out of town for a few days and then return to Vancouver in time to check-off the 2-page cleaning list provided by our outgoing landlord – someone who has never seen the place [honest!] or bothered to seriously fix anything in it. Seriously screwed over in the cleaning department, I stare at the holes where I once had fingernails and pleasant skin around those fingernails (okay, not quite that bad). At this point, I could care less about getting our damage deposit back, but our guilt over leaving this mess for some other poor saps to clean overcomes us and we scrub the crap out of the basement. 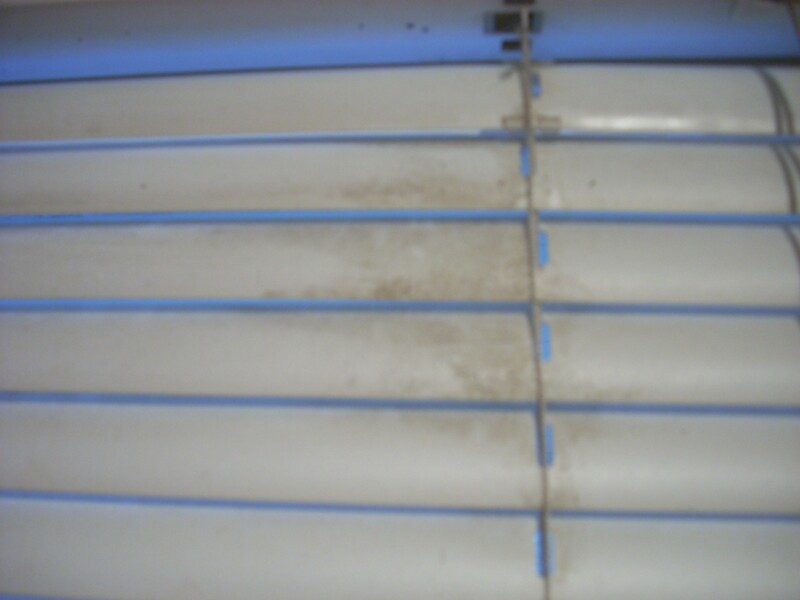 Once settled, we call the new landlord and complain about the state of affairs – promising a handful of photos showcasing the disgusting filth and grime we dealt with upon moving in. We receive many apologies and the promise of possibly having some compensation when we move out, as if they are going to document this discussion and recall it in a couple years. The following week we get screwed over by the cable company.